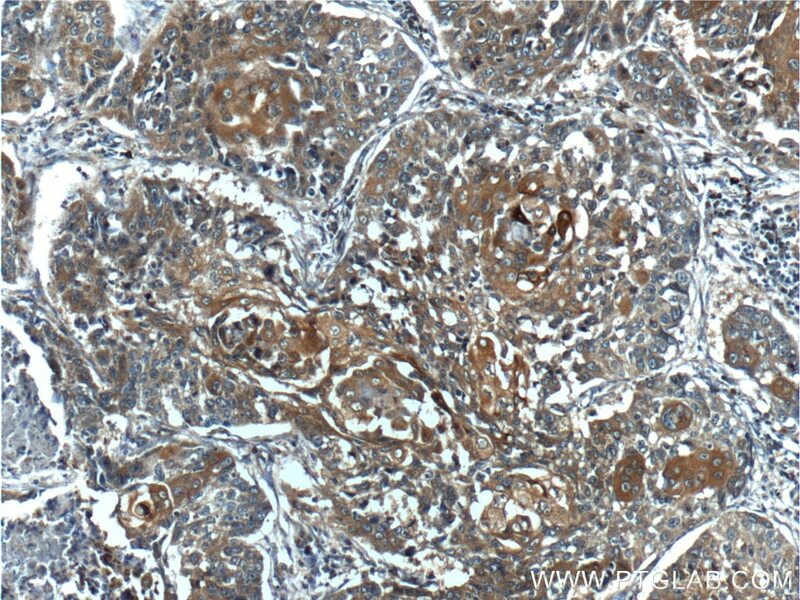 SIRT7 is a histone desuccinylase that functionally links to chromatin compaction and genome stability. 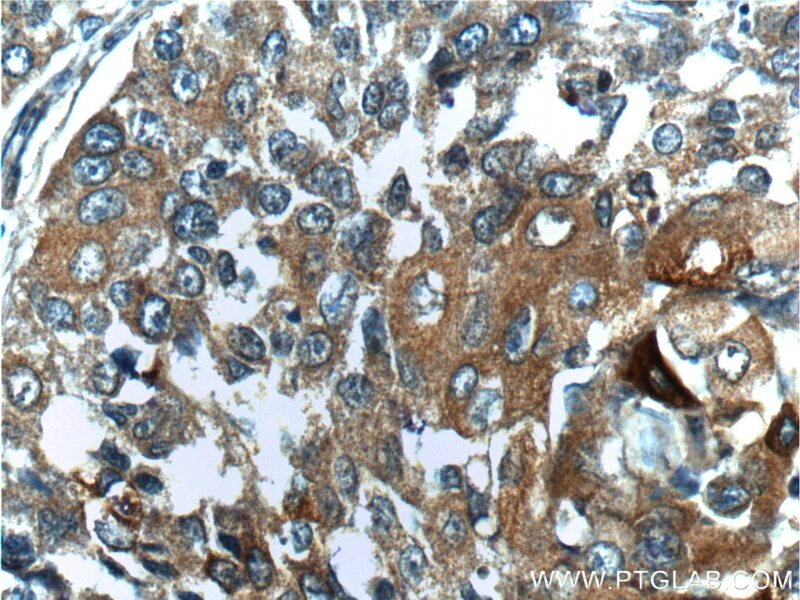 Association of HMGB1, BRCA1 and P62 expression in ovarian cancer and chemotherapy sensitivity. 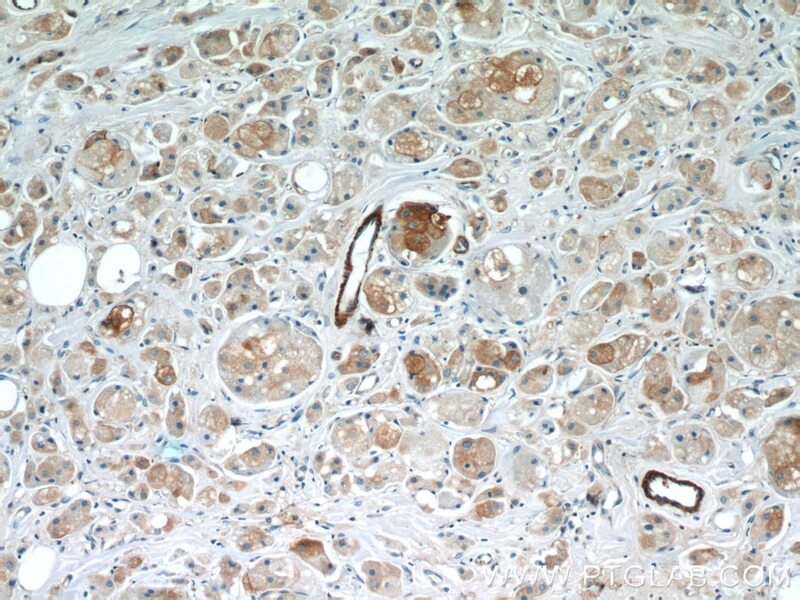 Immunohistochemical analysis of paraffin-embedded human lung cancer tissue slide using 22362-1-AP( BRCA1 Antibody) at dilution of 1:200 (under 10x lens). 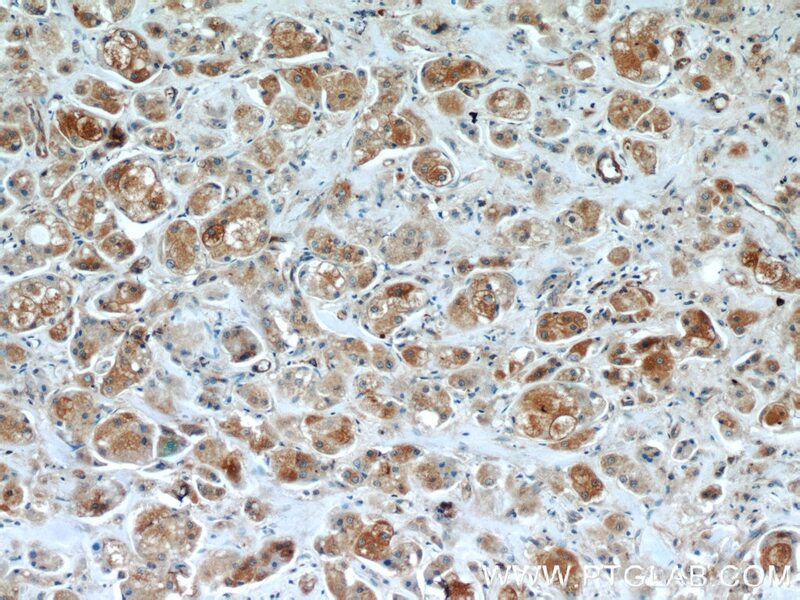 Immunohistochemical analysis of paraffin-embedded human lung cancer tissue slide using 22362-1-AP( BRCA1 Antibody) at dilution of 1:200 (under 40x lens).